NEW CARROLLTON, Md. (June 23, 2016) – Maryland’s last inhabited island in the Chesapeake Bay not connected by bridge to mainland, Smith Island is a historic waterman community that was named one of the five best spots for “dropping off the grid” by CNN. It promotes itself as the hub of the soft-shelled crab industry in America, and is home to Maryland’s official state dessert, the multilayered Smith Island Cake. The island can now claim another title: Sustainable Community. Joining the Towns of Greensboro and Trappe on the Eastern Shore and the Town of Indian Head in southern Maryland, these four communities are the latest to receive designations under the Maryland Department of Housing and Community Development’s Sustainable Communities Program. The Maryland Department of Housing and Community Development’s Sustainable Communities Program is a place-based designation that offers access to a comprehensive package of resources that support holistic strategies for sustainable revitalization and community development. The Sustainable Communities designation provides local governments with a framework for planning and promoting growth and redevelopment in existing older communities that is environmentally, economically and socially responsible. Designations are approved by Maryland’s Smart Growth Subcabinet, and there are now 95 approved Sustainable Communities statewide with at least one designated Sustainable Community in each of Maryland’s 23 counties and Baltimore City. With a population just under 4,000, the Town of Indian Head is 30 minutes from Washington, D.C., and offers the best of small town living with access to big city amenities just up the road. Nestled between the Potomac River and Mattawoman Creek, the town is home to a 13-mile rail trail and provides an ideal setting for outdoor activities, such as hiking, fishing, kayaking and canoeing. Indian Head offers cultural events at its Center for the Arts along with a flea market and several annual festivals on its Village Green. It is located near the Indian Head Naval Support Facility, one of the largest employers in Charles County. The town’s current challenges include decreased homeownership, stormwater management, lack of broadband internet access, vacant storefronts, and aging housing stock. Indian Head will seek state assistance to develop dynamic commercial and residential districts to replace currently vacant and dilapidated commercial properties. The town wants to create and implement homeownership incentives such as “live near your work” programs to attract new residents. Indian Head also plans to construct a boardwalk along the Potomac River to increase recreational opportunities in the community, as well as reduce the amount of impervious surfaces throughout the town to address stormwater and environmental impact concerns. 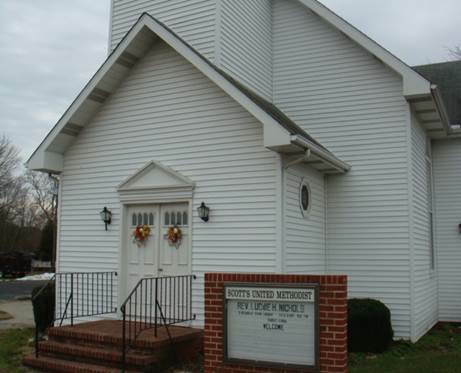 Located on the north bank of the Choptank River, the Town of Greensboro is known for its water recreation activities, historic homes, beautiful churches and the rich farmland of Caroline County. With its Sustainable Community designation, the town seeks to improve its Main Street business district by establishing a façade improvement program and beautifying its streetscape. Seeking to maximize its historic assets, Greensboro plans to conduct a market study to determine a feasible re-use for the Riverside Country Inn, which was built in 1890 and is currently vacant. The town would also like to improve the pedestrian and bike network in town, developing town-wide trails and boardwalks to improve connectivity to the Choptank River. With 15 percent of the town located in the 100 year flood-plain, Greensboro seeks to establish a green street program to mitigate flooding. Situated nine miles away from Crisfield, Smith Island is Maryland’s last inhabited island in the Chesapeake Bay not connected to the mainland by bridge and is home to the Martin Wildlife Refuge and the multi-layered Smith Island Cake, Maryland’s official state dessert. 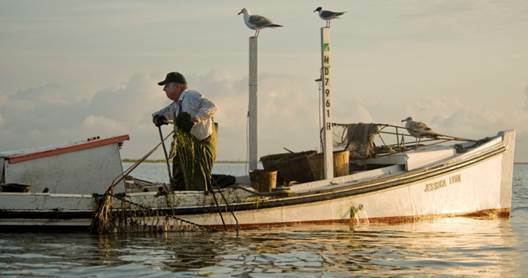 The island has historically been and continues to be a waterman community and is considered the hub of the nation’s soft-shell crab industry. It’s home to the Smith Island Crabmeat Co-op, Inc., a small business established in 1996 with help from the department’s Neighborhood BusinessWorks program that is dedicated to hand-picking and packaging crabmeat. Through the Sustainable Communities program, the community plans to preserve its heritage and grow its industry by establishing a waterman apprenticeship program. The island seeks to encourage the rehabilitation and reuse of vacant commercial spaces for dining and general stores. To promote eco-tourism, the community plans to develop an online guide to Smith Island and create all-inclusive tour packages that bundle multiple island experiences, such as historical walking tours, birding, kayaking, waterman tours and crab-picking tutorials. The community also plans to mitigate some of its flooding issues with green infrastructure improvements throughout the island. Smith Island faces additional environmental challenges, including erosion, climate vulnerability, poor drainage and lack of storm surge protection. Despite these challenges, the state recognized the island’s unique assets and rich history warranted a Sustainable Communities program designation. 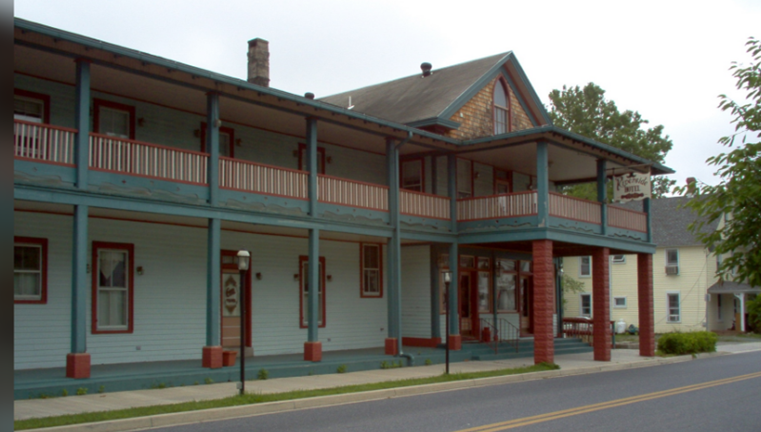 Incorporated in 1827, the Town of Trappe was home to African-American activist Nathan “Uncle Nace” Hopkins who established the first school for African-American children in Talbot County in 1878. Home of the Rural Life Museum, Trappe celebrates its rich, local history and hopes to use the Sustainable Communities program to focus on the town’s current challenges, a struggling Main Street, flooding, lack of pedestrian facilities, and little to no commercial or industrial base. The town seeks to revitalize their Main Street by creating an economic development plan and recruiting new businesses to fill commercial vacancies. Trappe plans to address pedestrian safety concerns by completing sidewalk projects and making signage improvements. To address flooding issues, the community plans to prioritize locations for stormwater management improvements. Trappe also hopes to create a workgroup to explore the feasibility of additional community events and youth activities. To learn more about the Sustainable Communities program and the application process, visit dhcd.maryland.gov/Communities/Pages/dn/.